Considered the biggest lake in Minneapolis, Lake Calhoun is part of the city’s Chain of Lakes. This grand lake is surrounded by a city park as well as biking and walking trails. It’s a popular place for many residents to spend their free time. In terms of real estate, you’d be hard pressed to find a better piece of property in the greater Minneapolis area than a Lake Calhoun home for sale. Part of the city’s Uptown district, this community boasts several gorgeous homes with unique architectural designs using only the finest building materials. What’s more, Lake Calhoun home owners have some of the best views in the city awaiting them right outside their bedroom window every morning. Home styles range from condominiums to single family homes, guaranteeing that nearly every interested home buyer can find their dream Minneapolis home at Lake Calhoun. Later, settlers called the lake “Medoza,” which is Dakota for Loon Lake. After United States Secretary of War John C. Calhoun authorized the founding of one of the earliest settlements in Minnesota in the early 1800s, the locals renamed it Lake Calhoun in his honor. Since then, Lake Calhoun has become synonymous with beauty and recreation among the locals in the Minneapolis area. 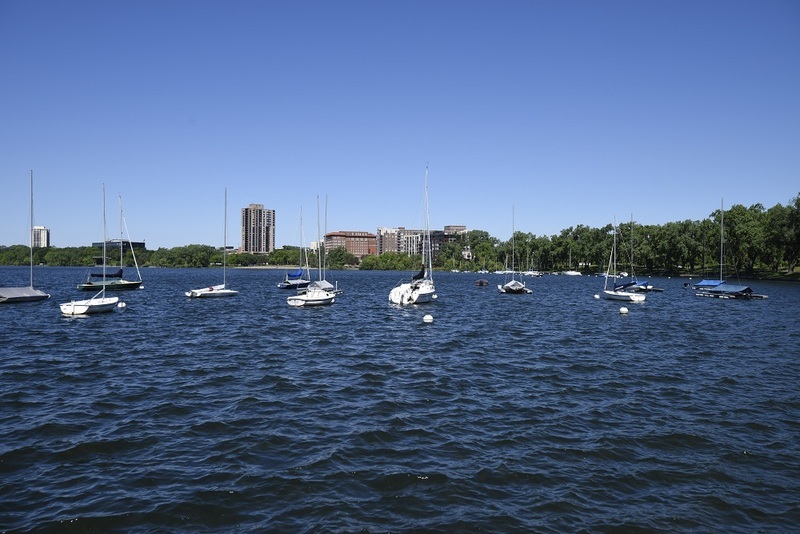 Lake Calhoun is part of the Grand Rounds Scenic Byway, which connects it to the Lake of the Isles, Cedar Lake, and Lake Harriet. This trail system has paths for bicyclists, skaters, and pedestrians. The Midtown Greenway Trail is also just a short distance from Lake Calhoun. There are even three swimming beaches located off of Lake Calhoun! Fishers will be thrilled to find that Lake Calhoun is home to a variety of species, including Black crappie, bluegill, northern pike, pumpkinseed, tiger muskellunge, and yellow perch. If you’ve always dreamed of living on a lake that could provide you with plenty of things to do year-round, we recommend you check out Lake Calhoun. Contact us, today to learn more about this incredible Minneapolis area real estate opportunity. We’ll be happy to answer any questions you might have and let you know about available real estate listings on Lake Calhoun.